Often children have a time of strong interest in a topic. Then, a short time later, they've moved on to another topic. 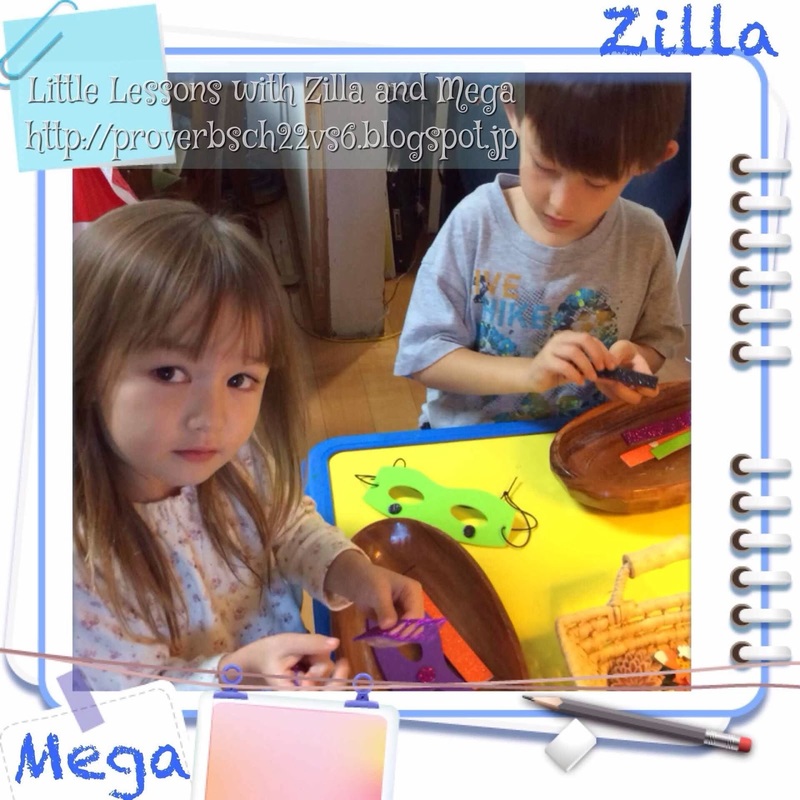 For Zilla and Mega there are some topics they repeatedly return to. One of those is dinosaurs. It seems like 2-3 times a year they have a "dinosaur era". Sometimes it is organic (the interest pops into their own minds) and sometimes it is something we present. Currently there is a special dinosaur exhibit at one of the science museums in Tokyo. We've visited similar exhibits in the past and really enjoyed them so we hoped to visit this one as well. Plans came together in such a way that we were able to join an English tour lead by Dr. Manabe, the chief paleontologist at the museum. It was a wonderful chance to see a bit bit behind and scenes as well as talk about all things dinosaur with someone who gets really excited about the topic. They kids enjoyed asking their questions and comparing favorite dinosaurs. The kids found out about the tour plan a couple of days before we went. To get ready the got out some of their dinosaur toys as well as the flashcards so they could do some review. Recently the kids have enjoyed a TV show on Japanese Netflix call Dinosaur King. While not highly educational, it is entertaining and sparks a want to learn more. One of the really cool things from this museum visit was the chance to hear from Dr. Coy about his work on a dinosaur skeleton fossil that he discovered. While we've seen fossils before (up close in the Badlands), this was the first "new" dinosaur we've seen up close. He has enjoyed being able to concentrate on this project for hours on end as well as being able to use some of the research tools such as a special MRI for artifacts. He explained how technology is allowing them to see the inside more accurately and without having to fully open up the dinosaur. Also, with computers, comparisons can be made to other fossils and to known animals, allowing them to have a better idea of how the dinosaurs might have fnctioned. I know it probably seems strange that a family of creationists would be so into a evolution-based museum exhibit... but in the end we're admiring the same thing. The fact is that dinosaurs existed. The fact is that there is still much to learn about them. We can learn much from the fossils and the research that is being done even if we have different ideas of how the dinosaurs came into being or about how they become extinct. Before I forget, here are some links to dinosaur things the kids have particularly enjoyed. Hope you enjoy them too!